FREE COURSE - TAKE ANY TIME! It may not look like it, but I am absolutely watching my dog in this image! 'WATCH YOUR DOG' - What does that actually MEAN?? Keeping visual contact with your dog is perhaps even more important than perfecting how you do a front cross, rear cross, lateral send, or any other cue combination. After all, if you don’t have your eyes on your dog, how will you know when to cue them? Your role in the team as the handler, or director, is to direct your dog around the course, timing your cues so that the dog sees and hears them when he needs to…and you won’t know when he needs to receive those cues unless you are watching. Keeping your eye on your dog at all times means that you will be better able to be proactive about adjusting your handling to keep small deviations in how the course is being run from turning in to large problems that result in errors on the course. Learn How To "Watch Your Dog"
This free course will introduce you to the skills you need to be able to really SEE your dog on course. 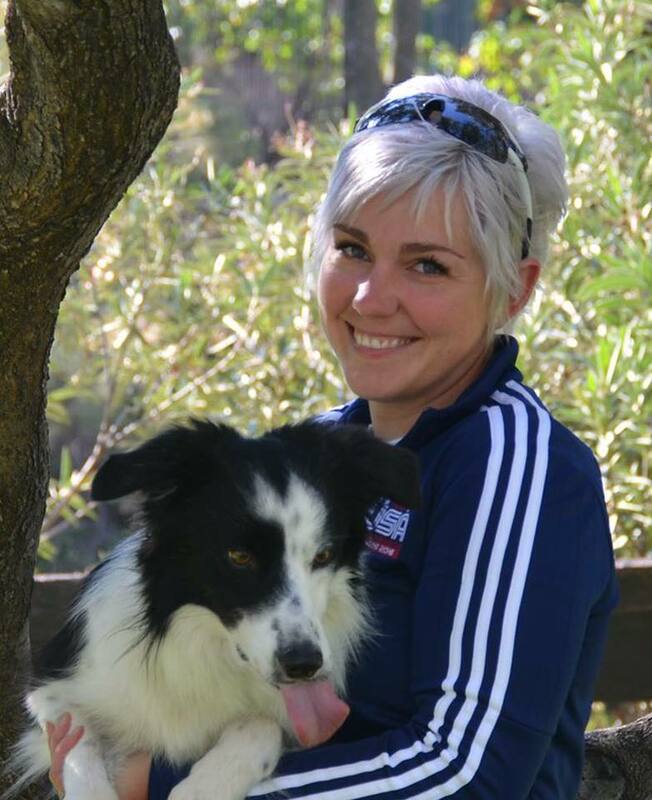 In this free course, I’m going to discuss some of the areas in which you can improve your ability to keep your eyes on your dog, without sacrificing your ability to see the obstacles as you navigate through an agility course. You'll learn about different types of visual acuity, visual motor skills, visual perception skills, as well as some other skills. 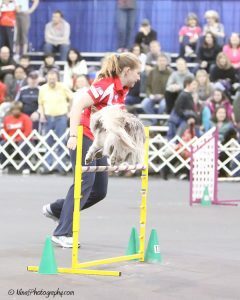 You'll also learn about different types of exercises that you can perform to improve your ability to watch your dog! For several years now, I’ve been instructing others on how to better handle their dogs around an agility course, and for as long as I’ve been instructing, I’ve been telling students to “watch your dog”. When I first started learning agility myself, I was told to watch my dog. And, although I’ve been very good about helping people perfect their technical skills by telling them to adjust how they move their bodies one way or another, or how they time a reinforcement given for a behavior they’re trying to train, until recently, I haven’t done my best to help people learn to better watch their dogs. This free course will help you REALLY learn to watch your dog, with explanations and exercises for you to try. There's no video to submit, and you can proceed at your own pace. Join the discussion for each unit. And did I mention, it's completely free? Click Below To Enroll - It's Free! Sign up now for the free course WATCH YOUR DOG! Fill out the information below to enroll! By signing up for this course, you agree to the policies of our website as set forth HERE. I agree to let Daisy contact me periodically via email regarding courses and other things happening on the site (your email will NOT be shared with anybody else!). The exercises in this free course will change how you think about the phrase we hear so often..."watch your dog!" If you've taken Foundation Flatwork For Agility Level I - leave a review by clicking the button below!